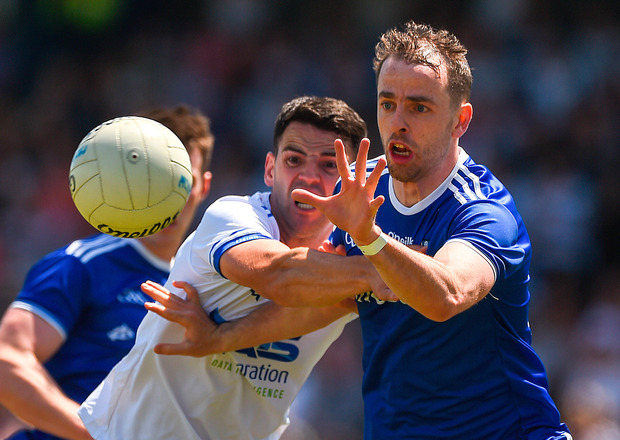 Ruthless Monaghan destroyed Waterford at Fraher Field yesterday to progress to the third round of the qualifiers. First-half goals from Conor McManus, Karl O'Connell and Fintan Kelly broke the hosts' resolve to help Malachy O'Rourke's side to a 3-11 to 0-4 half-time lead before substitutes Dessie Mone and Shane Carey raised further green flags after the break. O'Rourke was happy to get back on track following their Ulster disappointment against Fermanagh. "There's no doubt there's a hangover after a defeat like that," he said. "It's been three weeks and it was really only this week that we got that freshness and sharpness back in training. The manager claimed that Kieran Hughes' notable absence from his panel was down to injury, saying: "He just has a hamstring problem. He hasn't been able to train fully with us this last couple of weeks." 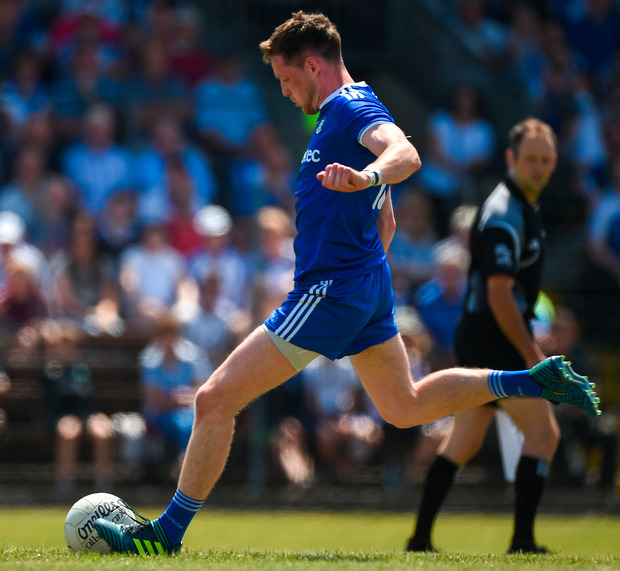 Colin Walshe put Monaghan ahead inside the first minute and they had built a six-point lead by the time Waterford opened their account through Kieran Power. 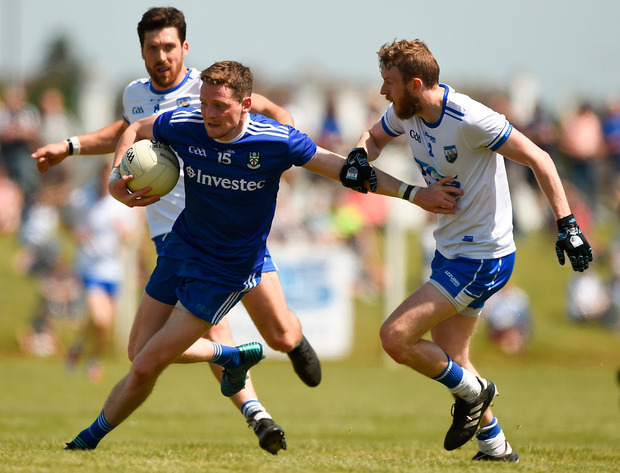 In the first championship meeting between the sides, Waterford were simply unable to match their opponents in terms of pace, skill and physicality, and would only register three more scores in the first half. McManus was first to find the net in the 20th minute, via the penalty spot, after Ryan McAnespie was brought down in a congested square. McAnespie was a lively presence, working in tandem with Jack McCarron before a speeding Karl O'Connell emerged from his wing-back slot to finish in style to raise the second green flag in the 33rd minute. That made it 2-10 to 0-4 and the floodgates were opened as midfielders Niall Kearns and Darren Hughes kicked quick-fire points before Kelly scored his side's third goal in injury-time after a Conor McCarthy pass. 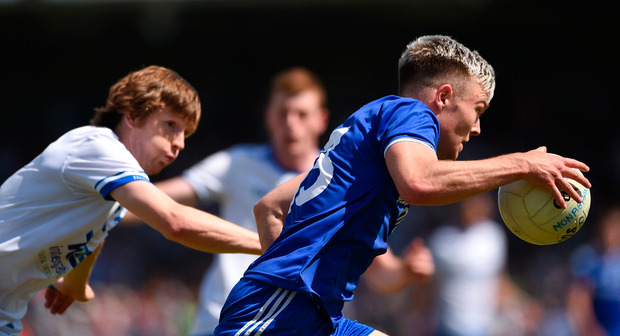 Despite being outclassed, Waterford showed fight on the resumption - Jason Curry's 49th-minute free marking the only time they hit consecutive scores. McCarthy, who kicked three points from play, kept the scoreboard ticking over for Monaghan prior to testing Waterford goalkeeper Stephen Enright, who produced a final double save only for Mone to blast home the rebound on the third attempt on 53 minutes. Leading by 4-18 to 0-7 by this stage, McCarthy was once again central to Monaghan's next goal as he played in Carey to finish past the helpless Enright. Scorers - Monaghan: C McManus (1-0 pen, 1f), D Mone 1-1; K O'Connell, F Kelly, S Carey 1-0 each; McCarron 0-4 (3f); C McCarthy 0-3; J N Kearns, Garland, D Hughes, R Beggan (2f) 0-2 each; C Boyle, C Walshe, V Corey, R McAnespie 0-1 each. Waterford: J Curry 0-4f; J Mullaney, K Power, G Crotty, C Murray, S Prendergast 0-1 each. Monaghan: R Beggan; B Kerr, D Wylie, C Boyle, C ­Walshe, V Corey , K O'Connell; N Kearns, D Hughes; R McAnespie, D Malone, F Kelly; C McCarthy, J McCarron, C McManus. Subs: S Carey for Corey (ht), R Wylie for D Wylie (h-t), D Mone for Walshe (44), N McAdam for Hughes (44), K Duffy for Kerr (BC, 45), D Garland for McManus (55). Waterford: S Enright; T O'Gorman, J Mullaney, J McGrath; B Looby, M Curry, S Ryan; T Prendergast, K Power; G Crotty, D Guiry, A Trihy; C Murray, JJ Hutchinson, J Curry. Subs: S Prendergast for McGrath (41), J Allen for Guiry (41), M Cummins for Looby (54), J Veale for Curry (57), E O'Brien for Hutchinson (65), M Kiely for Trihy (70).